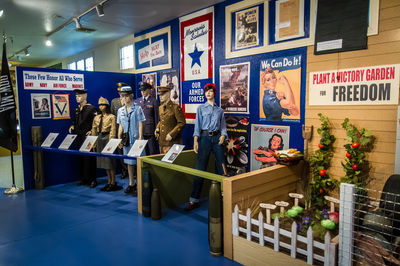 The Museum has archived over 10,000 artifacts. 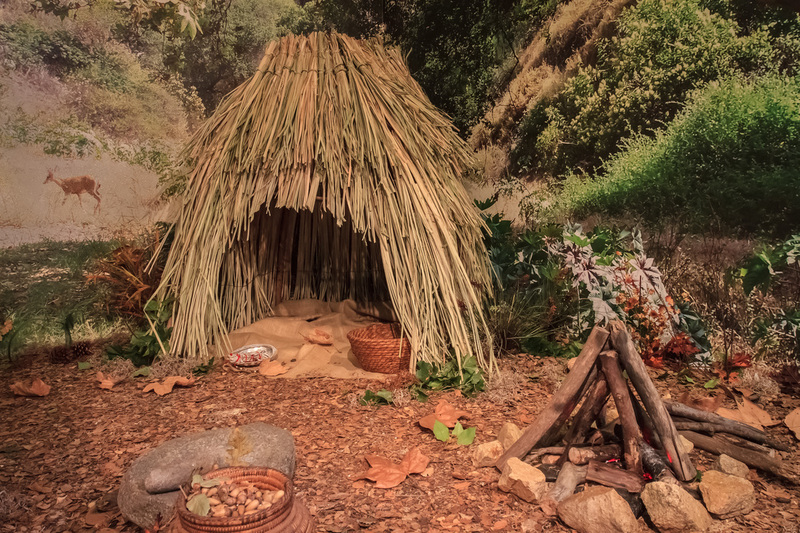 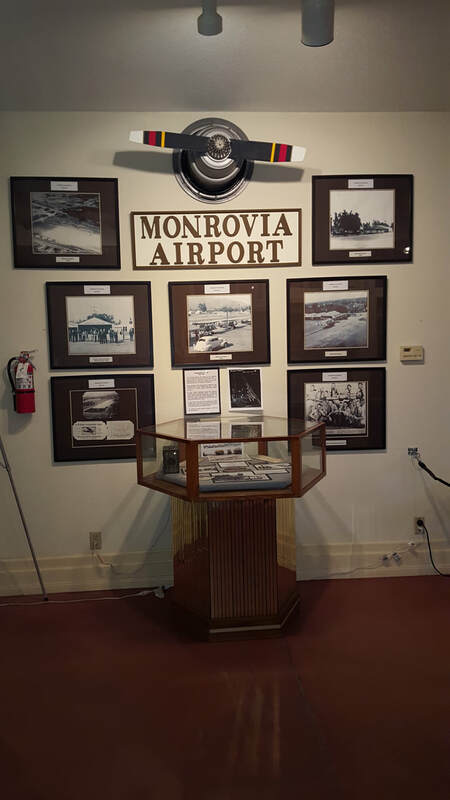 If you have artifacts you wish to donate that are historically significant to Monrovia you may bring them to the Museum during business hours: Sundays and Thursdays 1:00 to 4:00 PM. First Row: A shelter local tribes would have used and a collection of pictures and artifacts depicting the Monrovia Airport. 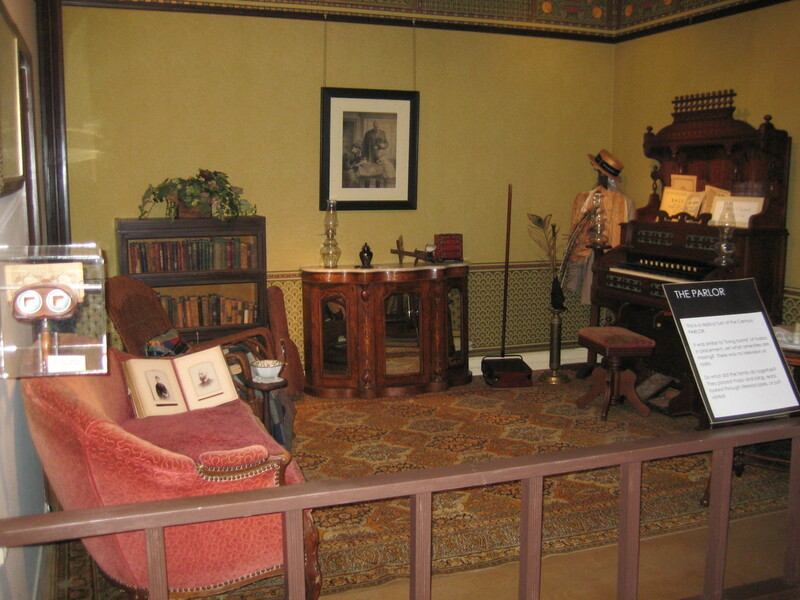 Second Row: The Museum has several displays on life in the early 1900's. 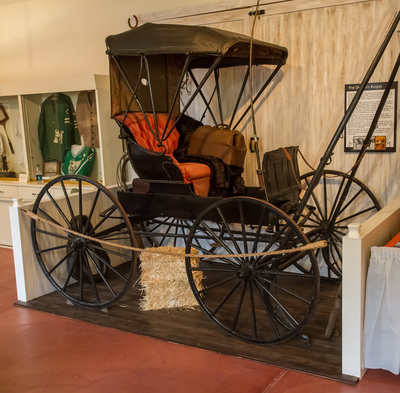 The Museum has a doctor's buggy used to visit patients and an exhibit highlighting Monrovians who contributed to the nation's efforts in two World Wars. 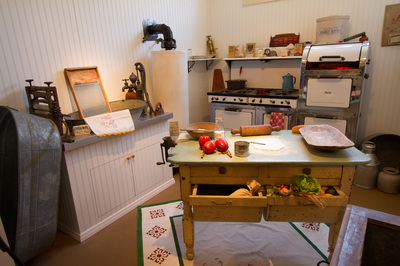 Third Row: Two of our exhibits include a 1920's kitchen and a turn-of-the-century (1900's) parlor. 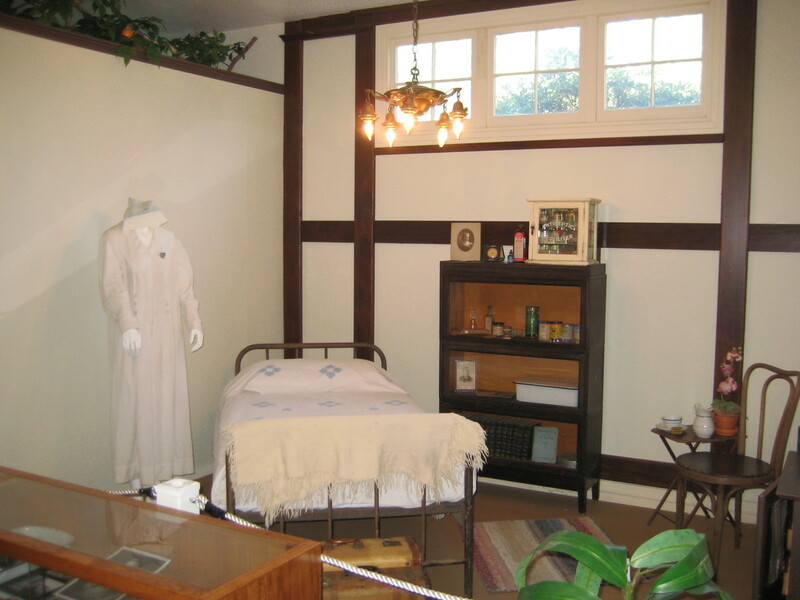 Forth Row: Monrovia once had a hospital called Pottenger's Sanatorium that provided advanced care in lung diseases. 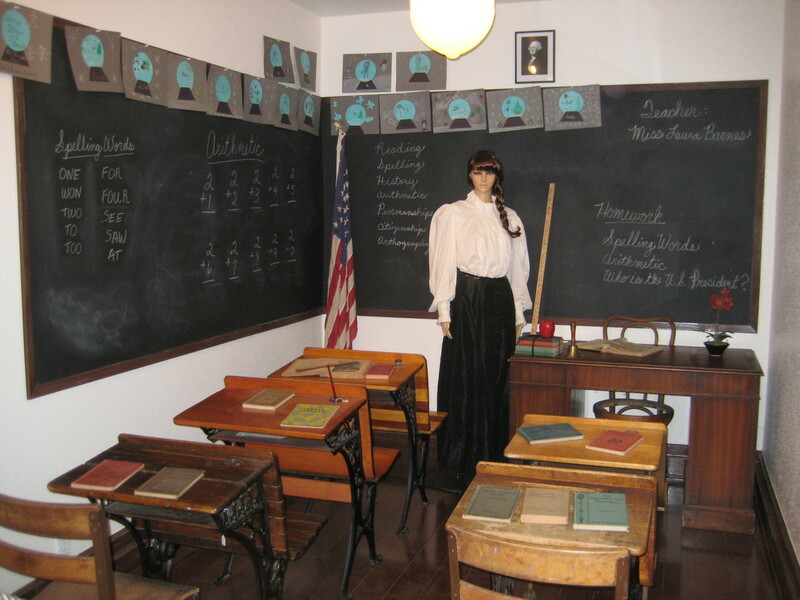 A replica of Lynwood School's first grade classroom is a favorite of school tours.